2017 Volkswagen Golf SV review - price, specs and release date | What Car? Sometimes, because a car is built in such small numbers, we rarely see it again after its launch. In the case of the Volkswagen Golf SV, that's because it's a member of a class in decline. The Golf SV (Sports Van) was introduced back in 2014 as a replacement for the Golf Plus. 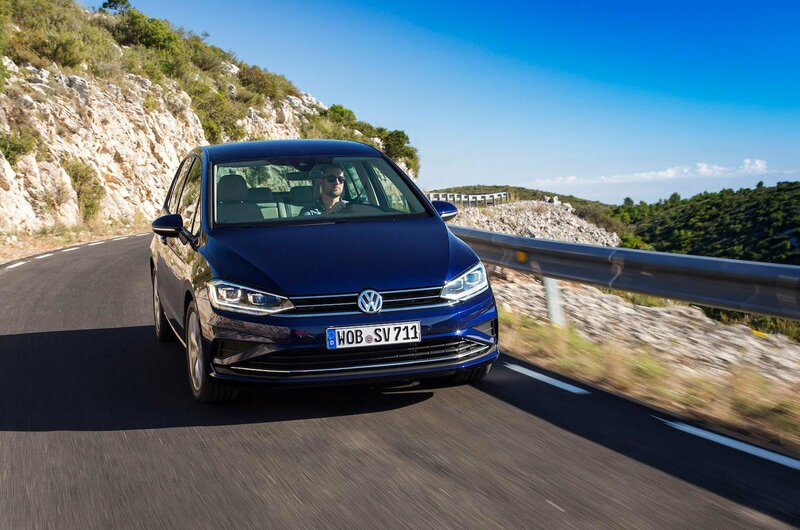 Essentially a more practical version of the regular Golf hatchback, it makes use of a tall roof and wide interior to give passengers even more head and leg room. But it couldn’t have been launched at a more inopportune time, with buyers moving over in their droves from the MPV market to the more glamorous world of the SUV. Why buy a frumpy-looking people carrier when a taller, classier SUV often offers a similar level of practicality? To make matters worse, Volkswagen soon released its wildly popular Tiguan and now the smaller T-Roc, an SUV tipped to sell in larger numbers than its bigger brother. Both effectively do the same job as the Golf SV – to provide practical family transport – but are more stylish. So why has Volkswagen decided to update a car that not only overlaps with two of its current models, but also sells in tiny numbers here in the UK? Well, despite the market indicating otherwise, the company still believes there’s a place for a well equipped, dynamic and fuel efficient MPV. And, on paper at least, the Golf SV also offers families a car that is focused purely on practicality, without the compromises of faux off-road looks. Its high roof and wide-opening doors are ideal for fitting child seats, and its rear-sliding seat bench allows you to prioritise either boot space or rear leg room. 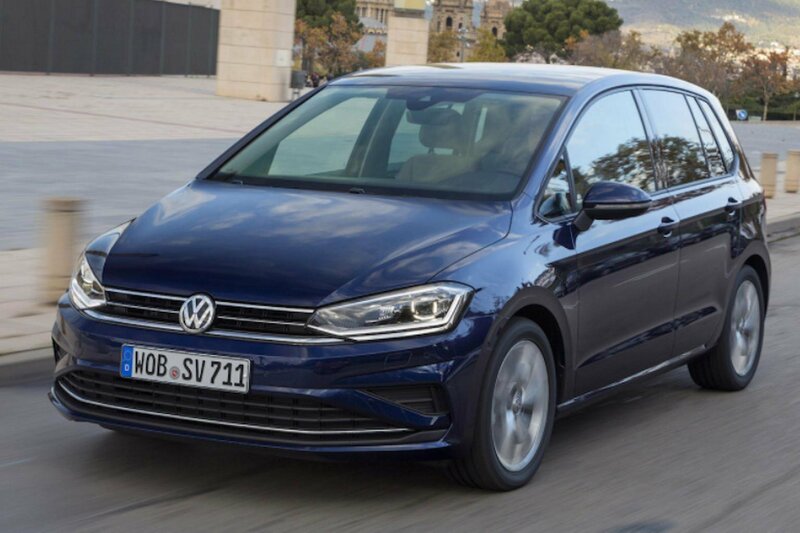 The facelifted Golf SV gets new bumpers front and rear, more creases on its bonnet and the option of LED headlights, giving it a sharper and more aggressive look, while new, more efficient engines have also been added. Will that be enough to sway families considering an SUV? 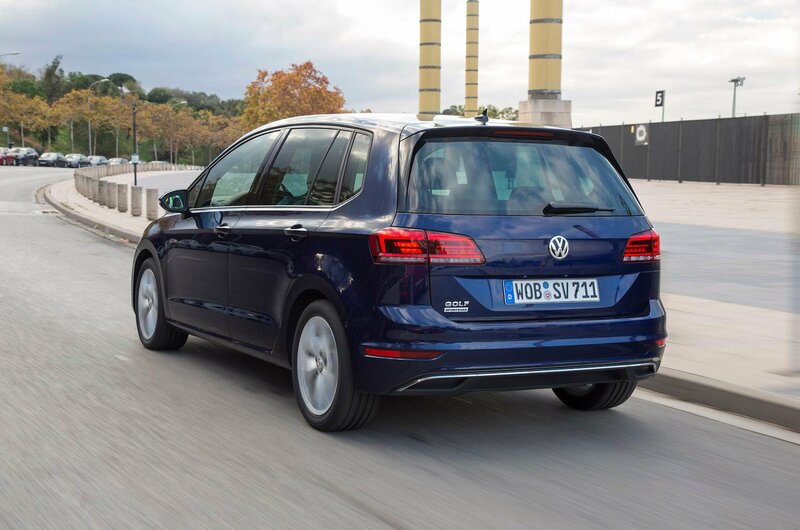 Being based on the same chassis as the regular Golf, the Golf SV drives with a level of precision and control that is simply missing from MPV rivals such as the Renault Scénic and Citroën C4 Picasso. Push on over demanding country roads and, due to a higher centre of gravity than the standard Golf, there is touch more body lean through the corners, although the balance of body control and ride quality is well struck. Mid-corner bumps are handled with an impressive deftness and there’s plenty of grip, too, so you can hustle the SV along a twisty B-road surprisingly swiftly. On the motorway, the Golf SV continues to impress, with a surprising lack of wind noise for such a tall body. You also get the benefit of a raised driving position, making the car easy to place on the road thanks to impressive all-round visibility. Road noise, at least on the larger 17in wheels fitted to our test car (smaller 16in wheels are available), is a little intrusive on more abrasive surfaces, but nowhere as loud as the Scénic on its standard 20in set. We had the opportunity to sample the entry-level 108bhp 1.0-litre petrol and the 1.5-litre petrol engines in both 128bhp and 148bhp states of tune. The more powerful 1.5 unit impresses with its low-down grunt and willingness to rev, and it feels particularly peppy when paired to the optional slick seven-speed DSG automatic gearbox (a six-speed manual is standard). However, it's significantly more expensive than the 128bhp version and fractionally less economical. The 1.0-litre is more of a disappointment, with only 108bhp. VW decided against using this in the Tiguan SUV, believing that such a small engine wouldn’t make sense in such a large car, and that’s a decision that would have made just as much sense here. Like most turbocharged small-capacity petrol engines, there’s a significant step in its power delivery, and even when the motor gets going – at around 2000rpm – drive is modest. In a car designed to carry family and luggage, this engine's distinct lack of grunt could be a problem. We'd certainly think twice before tackling particulalry hilly roads. The Golf SV's interior has been given a comprehensive update. 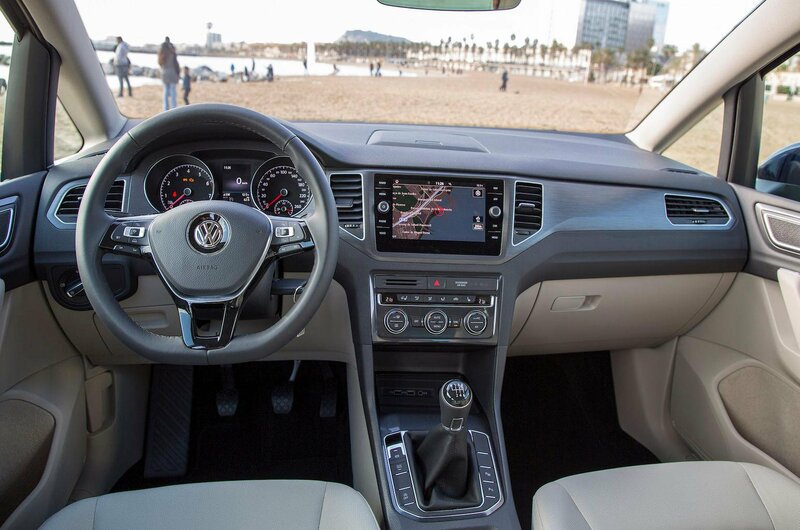 Nicer fabrics and materials are immediately noticeable, but the biggest news is the introduction of the new Discover Pro infotainment system from the regular Golf. A giant 9.2in touchscreen infotainment system dominated the dashboards of our test cars (on the outgoing car the biggest screen was 6.5in), and this helps to give the interior a distinctly upmarket ambience. But while this arrangement looks great, it’s actually rather distracting to use while driving due to the fact that there are no physical buttons to let you switch between menus without looking away from the road. However, this large screen is likely to be an option – an 8.0in version with rotary dials either side of the screen is expected to be standard. For a car that prides itself on practicality, the Golf SV is behind some competition. It offers a huge amount of head room in the front and rear seats, plus plenty of leg room for tall adults, but its three rear seats aren’t individual, so it isn’t quite as flexible with its space as the C4 Picasso. 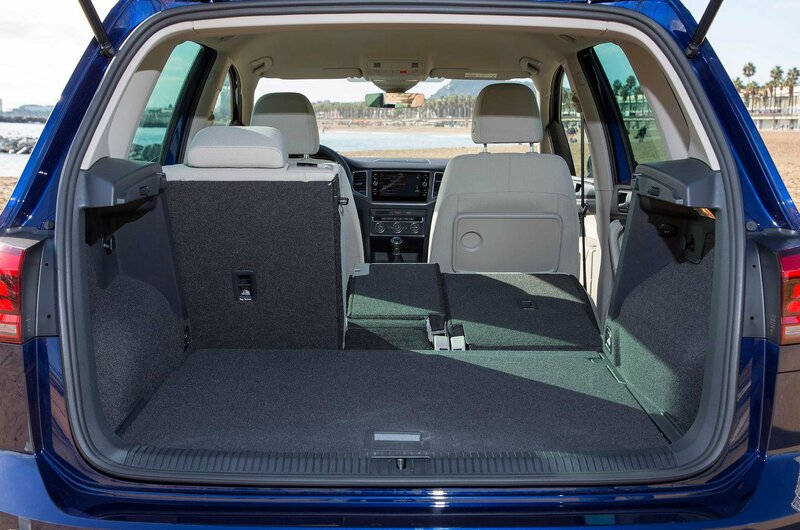 And even though you can maximise boot space by sliding the rear seats forwards, they only slide in a 60/40 configuration. That said, the rear seatbacks do at least split 40/20/40 and fold down flat, leaving a minimal incline (which is ideal for loading longer objects). But it’s hard to ignore that VW's own, cheaper Golf Estate offers more outright boot capacity.